This used John Deere roller mower is powered by a Kawasaki engine and has an aluminium cutting deck. This mower is power driven with variable speed transmission. Fitted with blade brake control. We have carried out a full service to this machine and fitted a genuine clutch cable. 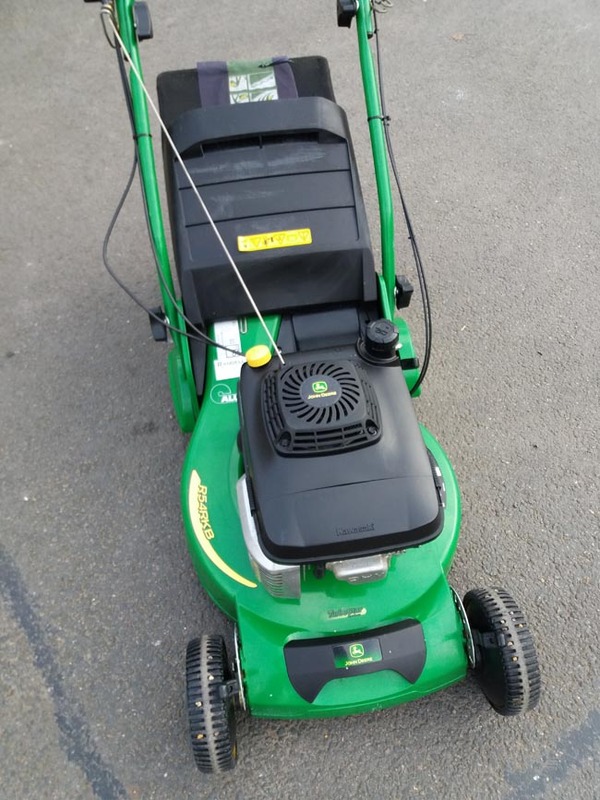 This mower has been used privately and has been well cared for by its previous owner.